The men’s soccer team may make playoffs, despite a conference record of 1-3 and only three games left in their regular season. The Lions sit in seventh place out of nine in the New England Women’s and Men’s Athletic Conference. The top five teams in the conference all qualify for playoffs. Freshman midfielder Avery Niles said the team’s attitude going into games has changed as the season progressed. With tough competition in the NEWMAC, head coach Bryan Harkin said they must overcome obstacles to continue into playoffs. 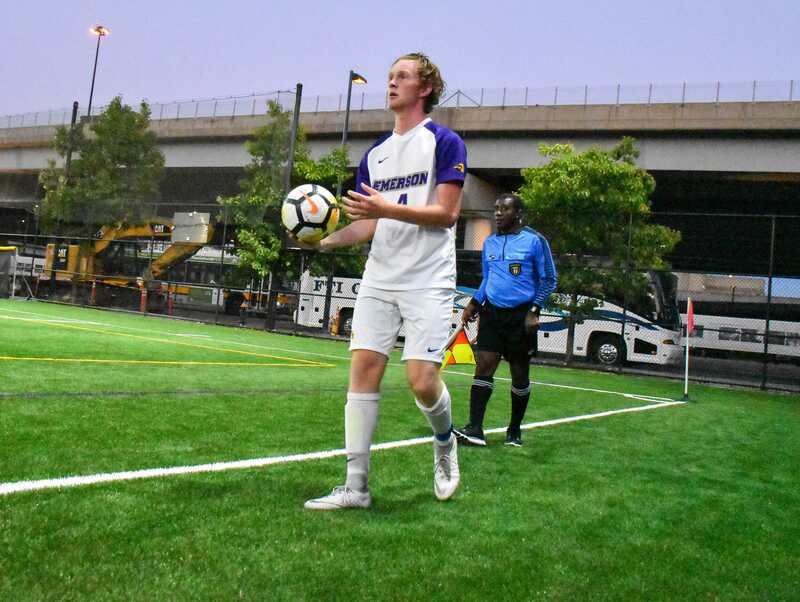 The Lions claimed their first win against the United States Coast Guard Academy on Sept. 22 due to a goal from junior forward Gavin Faucette, who leads the team with four goals. The 1-0 victory marked their first away win in the NEWMAC since Emerson joined the conference in 2013. Sophomore goalkeeper David Kemp made three saves, one of them in the last 30 seconds of the game, and earned NEWMAC Defensive Player of the Week for his performance. The Lions opened the season with a 3-0 loss to Clark University, before falling 1-0 in overtime to Worcester Polytechnic Institute and Babson College, respectively. In their game against WPI, the defending NEWMAC champions, the Lions kept the game tied at zero until the last 40 seconds. Dorfman said the Lions, although considered underdogs want to prove they can compete at the highest level in the conference. “When we play teams that might be better than us, we need to have the belief and perseverance that we can get results against them,” Dorfman said. 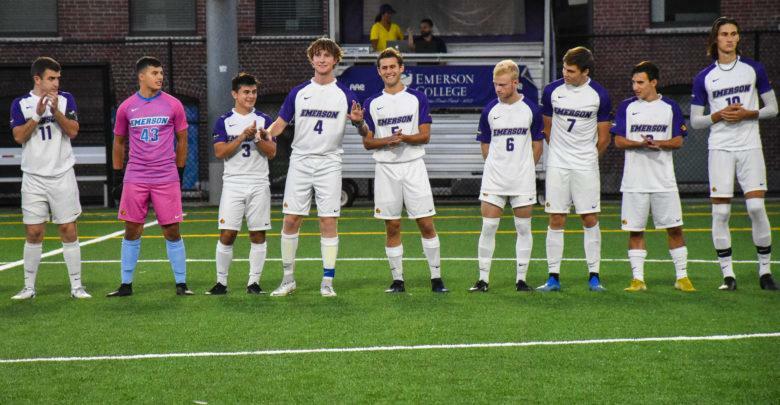 As a team of primarily freshmen and sophomores, Niles said the men’s soccer team devoted this season to finding their place and becoming more comfortable in their roles. In addition to focusing and setting long-term goals, Niles said chemistry factors into the team’s success. In order for the men’s soccer team to advance into playoffs, they need to win two of three remaining games. Harkin said even though their season has not gone as planned, he still believes they could make playoffs. The Lions will compete against Springfield College at Rotch Field on Saturday, Oct. 13 at 1 p.m.